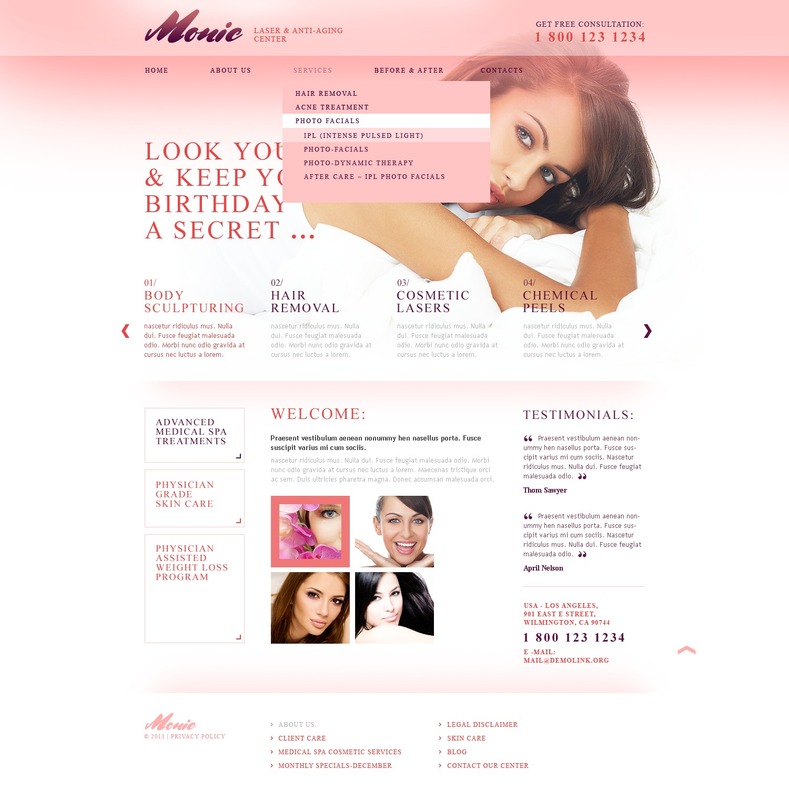 This website design is an expertly built plastic surgery website template. The website template is mainly ideal for plastic surgery center or plastic surgery center but it can be conveniently adjusted to go well with any other venture as well. Visiting a site based on this theme users could allocate the necessary content without difficulty. A client-oriented customer assistance squad is available round-the-clock absolutely free. Purchase this layout and be ready that many new guests will appear at your web site at the time you start your venture.